In the sport of distance running, coaches and athletes alike understand the value in building mileage to prepare for an upcoming race. While it’s obvious that endurance training must include comfortable distance runs, an ideal regimen incorporates other types of workouts as well. Tempo runs, or threshold sessions, are one of those other types of workouts. A common definition of tempo training is “comfortable hard” running. The intensity of a threshold run is certainly higher than an easy or moderate training run. Because the pace is more difficult, a runner should know they can complete the given distance at the given pace, but they also look forward to the end of the run. In other words, during such a workout the paces are challenging, but doable, for a prolonged period of time, which normally refers to 20 to 30 minutes during a practice session. With ideal training, including practice at tempo pace and a suitable taper, some runners can learn to sustain this pace for nearly 60 minutes on race day. If a runner is new to this idea, I have them periodically keep themselves in check. Generally this is best done by having them ask themselves if this is a pace they could run for 30 or 40 minutes if I asked them to. At any point during the training session if that answer is “no,” then the athlete needs to decrease their speed. In structured training for improvement in performance, a tempo day will be faster than a recovery and maintenance day. It’s important not to go too fast during this type of workout. Paces that are harder or faster than “comfortable hard” should be saved for interval training sessions. Why is Tempo Training Important? To become a faster distance runner, the goal of training is to prolong how long it takes you to hit points of exhaustion while running at higher speeds. The positive physiological benefits of tempo training sessions will help you achieve that goal. The purpose of these workouts is to train the body to clear fatigue-causing agents and byproducts. If a runner’s body is unable to metabolize such products associated with exhaustion as they’re being produced, the runner will hit a state of fatigue. 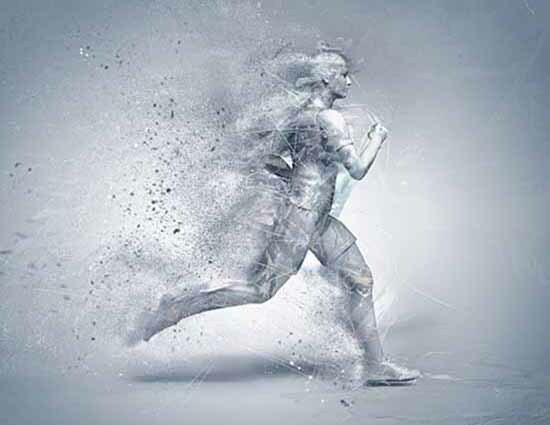 In tempo running and threshold sessions, an athlete’s physiological systems learn to efficiently clear accumulating byproducts to manageable levels. Manageable levels then delay the onset of fatigue. So put simply, tempo training allows an athlete to run faster for longer periods of time. Another important benefit — and something that shouldn’t be taken lightly — is the confidence these training sessions can give athletes. In completing a tempo run, runners see themselves running at more difficult paces for longer periods of time. Through tempo intervals, they may notice they’re able to persevere through longer training sessions at more demanding paces and intensity. Both types of threshold workouts have potentially positive mental benefits that will improve athletic performance in runners. What is a Tempo Workout? I generally break tempo training sessions down into two categories, tempo runs and tempo intervals. Other coaches may use different terms, so let me define what each of these mean to me. Tempo runs are a steady run at threshold pace for a sustained period of time without rest. Tempo intervals are multiple runs, or intervals, at threshold pace with short rest intervals between each. Often I remind my athletes that the rest during these interval sessions is more of a mental break, since running at more demanding paces may challenge the inner strength of runners. Paces during both of these sessions should be very similar if not the same. It’s not uncommon for an individual to feel as if they should go faster during the interval workouts because they have a rest period, but that shouldn’t be done. Instead, it is best to decrease your rest time to increase the amount of stress. Before starting tempo training, I recommend runners first build their base mileage. Once fitness has improved and a good base has been developed, tempo workouts may be implemented into the training regimen. First of all, these training sessions should always start with a warm-up and end with a cool-down. Next you can begin with steady runs at or near marathon pace. Remember your goal is to maintain the desired pace for up to 30 minutes. Start with a few minutes until you can complete 15 minutes at your desired pace. Eventually you’ll work your way into 20 or 30 minutes. As you’re attempting to increase the total amount of time spent at threshold pace, tempo interval sessions will prove to be beneficial. Again, short breaks not only increase the likelihood that you’ll be able to run more distance at the given pace, they also give you the necessary confidence to meet your goal. If your goal as a distance runner is to be able to run your race faster, I recommend you try some tempo training sessions. You’ll be able to run faster for a longer period of time if you can properly train your body through these workouts. For more information about the TOSH Running Program in Murray, please call us at 801-314-2996 or email us at TOSHrunning@imail.org. Rebecca Winn is a graduate of Weber State University, where she earned her degree in human performance management, with an emphasis in fitness and nutrition and a minor in health promotion. 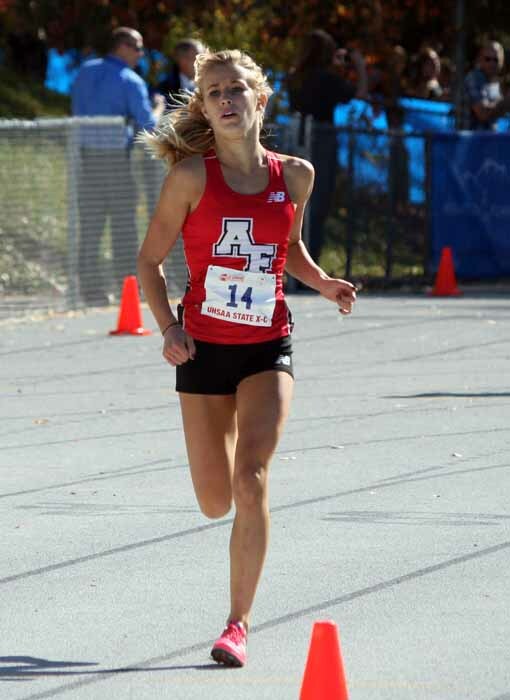 While at Weber State she participated on the cross country and track teams earning all-conference, all-region and All-American honors. Rebecca has received additional professional certifications through the National Strength and Conditioning Association (NSCA), and has a deep passion to help others reach their health, fitness and performance goals.